For the first time traveler eyeing Atlantic Canada, planning a trip can be a bit of a daunting task. The naturally stunning and eclectic east coast has undeniable appeal, yet understanding where to start, how to get around, where to stay and what to do requires extensive research due to the unique boutique-style properties and small towns connecting the region. That is, unless you have someone to turn to for expert insight. 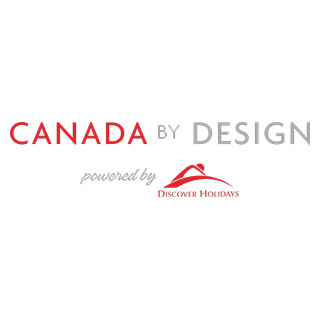 Enter Canada by Design. We have nearly two decades of experience planning travelers' dream trips, and here we'll help to answer your Atlantic Canada questions. Atlantic Canada, also referred to as the Atlantic provinces, is the region of Eastern Canada comprising the four provinces on the Atlantic coast: New Brunswick, Newfoundland and Labrador, Nova Scotia and Prince Edward Island. The entire region spans over 500,000 square kilometres, yet it makes up less than seven percent of Canada's population. The result? More nature than people, more quaint towns than city streets and more miles of coastline producing fresh seafood than you can possibly eat in one trip. 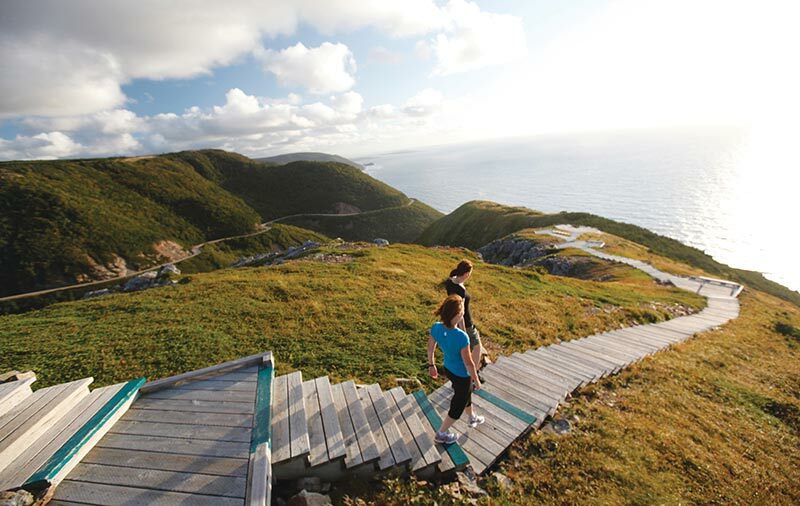 On our Atlantic Canada vacations, travelers are inspired by fascinating cultural and historical attractions against the backdrop of rugged coastlines and sandy beaches. Colorful architecture contrasts with the untamed waves of the Atlantic, and the ocean air is warmed by the people who call it home. Our goal is to share with you everything this wonderful region has to offer, and to help you plan the trip of your dreams, customized to a T.
Which Atlantic Province is Right for Me? 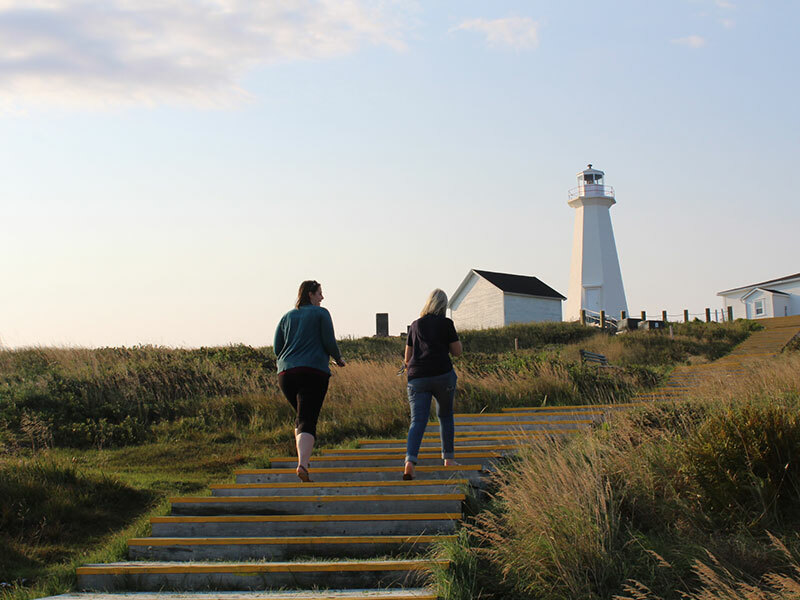 One of the most frequent questions we're asked when planning a trip to Atlantic Canada is what the differences are between the provinces and which have the most to offer travelers. The answer, in all honesty, is all of them. 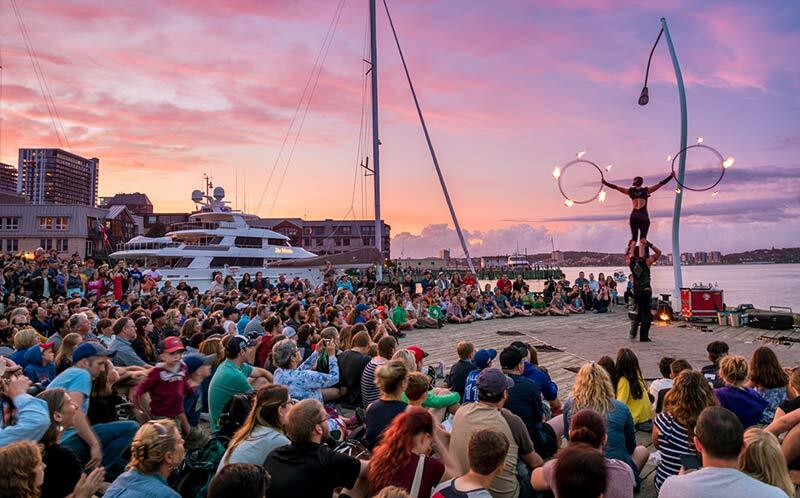 A trip to Atlantic Canada packs a big punch, and all four provinces promise postcard-perfect scenery, eclectic culture, friendly people and that signature fresh seafood. So whether you want to dig into freshly-buttered lobster at a beachfront cafe or dance with the locals at a traditional ceilidh (kitchen party), you really can't go wrong. That being said, there are a few noteworthy differences that set each apart from the rest, so read on for the details on which may be more for you. 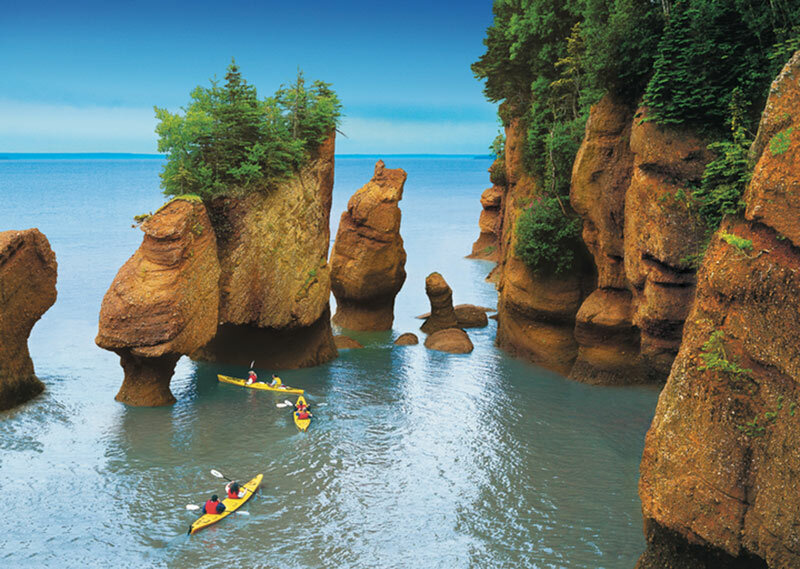 Home to the world's highest tides, New Brunswick's most recognized claim to fame would have to be the Bay of Fundy and Hopewell Rocks. Out here travelers often visit twice in one day – once to walk along the ocean floor and later to kayak 50 meters above where they were earlier, now at eye level with the majestic flowerpot rocks. It's an absolute must-do experience, but not the only lure to the province. Ocean tides and unique rock formations aside, New Brunswick's beautiful towns and monumental wildlife make it a dreamy destination for any trip to Atlantic Canada. 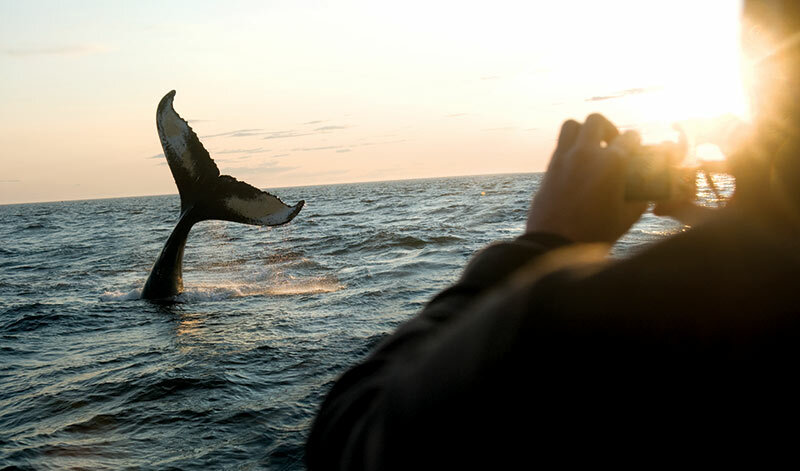 Watch Humpback whales and dolphins breach the surface aboard a boat tour in St. Andrews-by-the-Sea or explore the quaint town of Caraquet for undeniable Acadian charm. 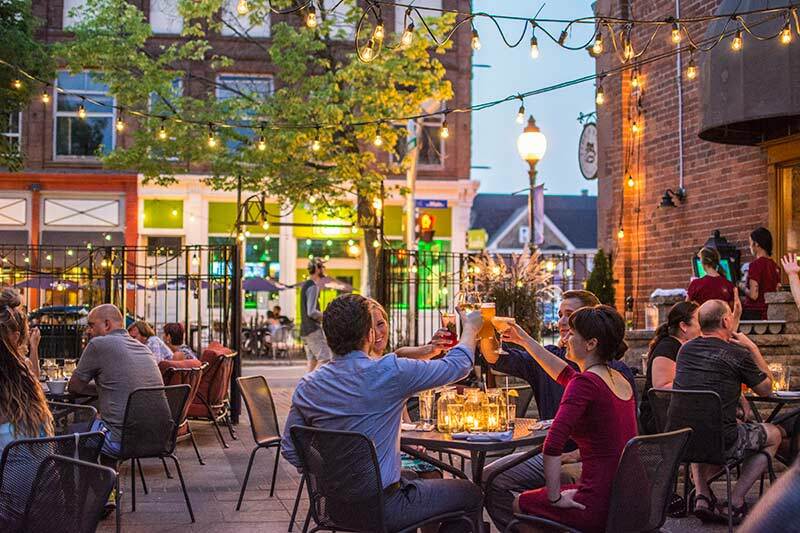 Taste a local brew in the capital of Fredericton, shop 'til you drop in metropolitan Moncton, and get your fill of culture in Canada's first incorporated city, Saint John. Though known for its natural beauty like parks and beaches, New Brunswick is home to eight cities, so you're never too far from one. Each has something special to offer, be it the Historic Garrison District in Fredericton, City Market in Saint John or French-inspired goods in Moncton. Pick one or tour them all, as no two experiences are ever alike. When to go: August, for the warmest saltwater in all of Canada. Where to go: Hopewell Rocks for high tides, and St. Andrews-by-the-Sea for quaint seaside charm. What to enjoy: The world's highest tides, city experiences, rugged outdoor adventure and breaching whales. This long-independent province contains plenty of culture having only officially become a part of Canada in 1949. Unique from the rest, the locals speak with different accents, use unique slang and even have their own dictionary with various words and phrases. Don't let their differences deter you, however, as Newfoundland and Labrador are home to some of the friendliest people in the country. Get to know them in St.John's, where live music mixes with friendly chatter along George Street. This community is full of artists, with the highest concentration of writers, musicians, actors and comedians in the country. Home to three national parks and 18 wilderness and ecological reserves, the draw of Newfoundland and Labrador (which are two geographically-separate regions combined into one province) is its sweeping natural beauty. Explore 29,000 kilometers of dramatic coastline, rich boreal forests and ancient rock formations, home to northern creatures like puffins, moose and caribou. One of the largest draws? Well, that would have to be the icebergs. 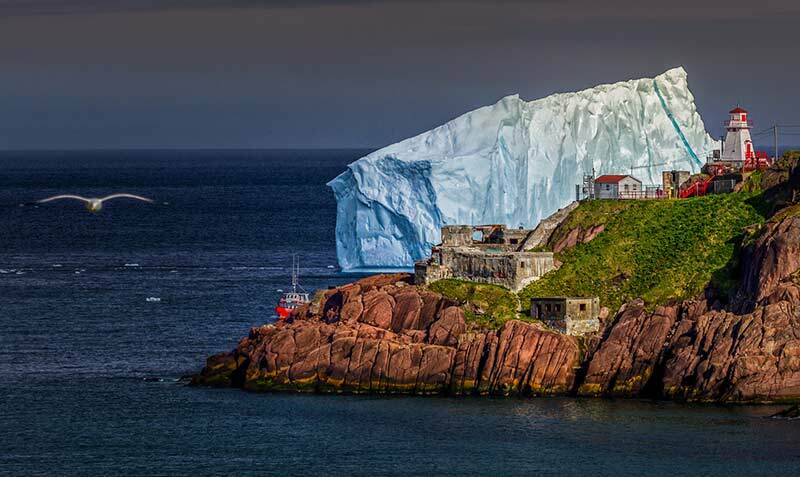 Iceberg viewing season in Newfoundland and Labrador lasts from spring to early summer, though the further north you find yourself the longer the season lasts. Sweeping in from the glaciers of Greenland and Canada's Arctic, their sheer size is spectacular, and that's just the 10 percent that shows. When to go: April, May and June for the best of iceberg season. 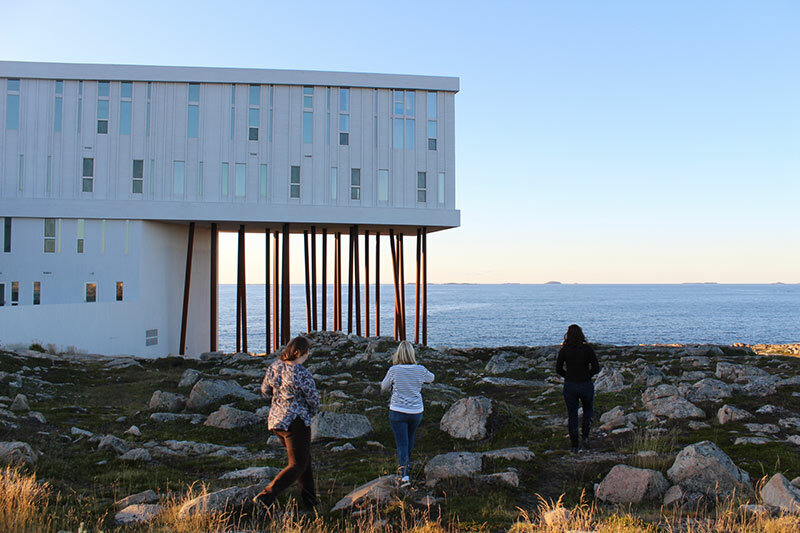 Where to go: St.Anthony for icebergs, St.John's for culture and Fogo Island for endless views. What to enjoy: Whale watching, coastal hiking, heritage sites, icebergs and lively nightlife in St.John's. Though just a small part of the province, Nova Scotia is often recognized by its capital city of Halifax. Known for its world-class dining, musical performances and museums, this is where many of our tours start and end on a circle trip through the region. Pay a visit to the boutiques, pubs and cafes of Privateers Warehouse and Historic Properties, or take in a National Historic Site or two. History buffs will also love visiting the Bluenose II in Lunenburg, which is a faithful replica of the Bluenose I (the schooner found on the tails side of a Canadian dime). Straying outside of the city will reward you with surprises around every corner, and the natural beauty of this province will astound even the hard-to-please. Geographically, Nova Scotia shares the Bay of Fundy with New Brunswick, so those high tides we spoke of earlier can be enjoyed from here as well. Popular low tide attractions are Burntcoat Head Park and the beach at Joggins Fossil Cliffs UNESCO World Heritage Site. What's more, picturesque seaside towns like Peggy's Cove is a top attraction in the area. Opt to visit in the early morning to beat the crowds and have the place almost to yourself. Of course, we'd be remiss to speak of Nova Scotia without highlighting Cape Breton Island, which offers dynamic coastal scenery, ample outdoor exploration, rich Celtic culture and the iconic Cabot Trail. Considered one of the world's most scenic drives, the road clings to mountains and edges the shore on a colorful journey through quaint villages. In essence, it's the road trip of a lifetime. When to go: August for warm weather, or October for colorful fall foliage. Where to go: Halifax for history and culture and Cape Breton Island for the Cabot Trail. What to enjoy: Historic Sites, whale watching, and award-winning food and drink trails. The smallest province of the four, Prince Edward Island occupies just 5,700 square kilometers and houses just 150,000 people. 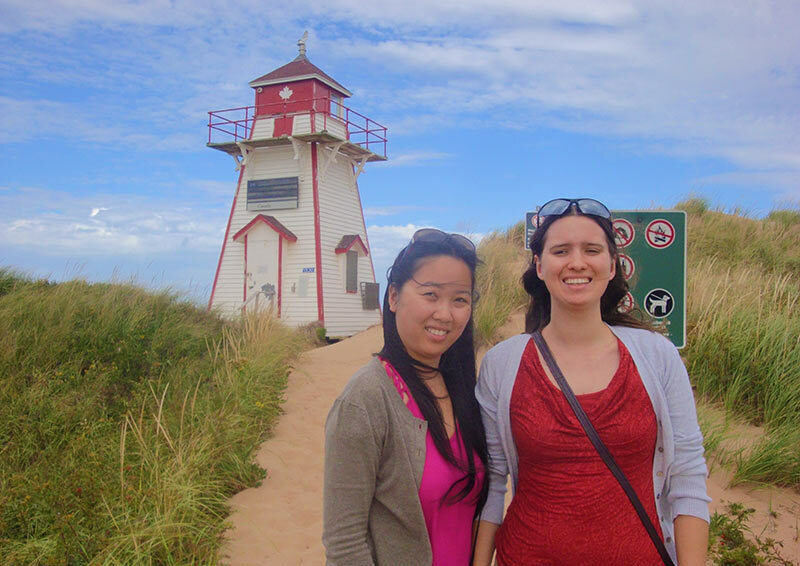 Charlottetown is the closest thing to a big city that you'll find on the crescent-shaped island, leaving the rest open to small villages, white sandy beaches, red cliffs and emerald forests. Speaking of emerald, Anne of Green Gables accounts for about a third of all tourism to Prince Edward Island, and travelers here can visit all kinds of Anne-themed attractions. Having inspired the famous novel by Lucy Maud Montgomery, the island provides all kindred spirits of Anne to delight in the long running, Anne of Green Gables - The Musical, and discover Anne's spirit in the Cavendish area of the island. Whether it has to do with the books or not, Prince Edward Island manages to retain a relaxed style of life reminiscent of a century ago. 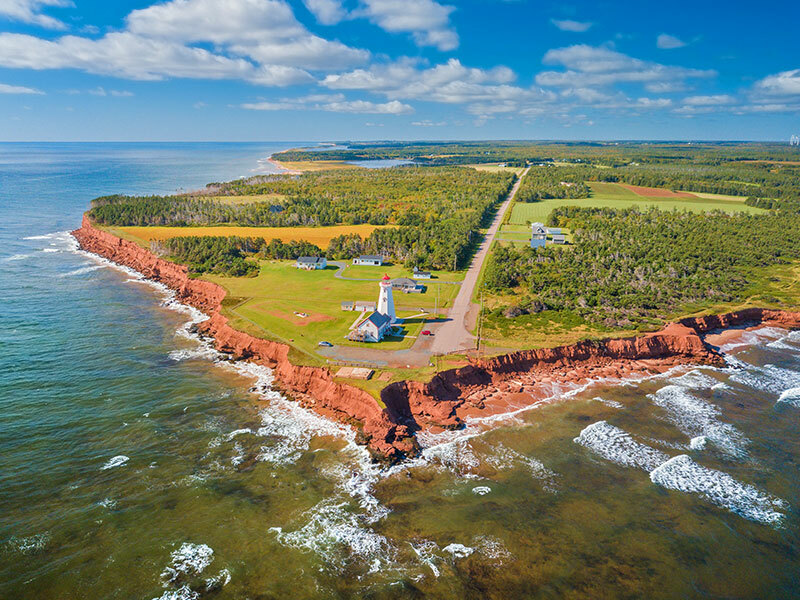 While easily accessed by the Confederation Bridge from both Nova Scotia and New Brunswick, it's here that you can soothe your soul with quaint towns, colorful festivals and some of the most incredible fall foliage in the region. 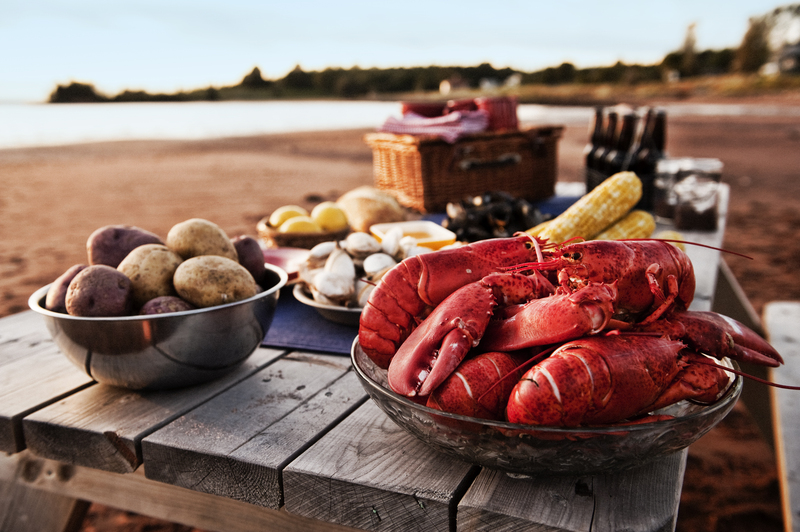 During the month of September, keep an eye out for the International Shellfish Festival, described as "the biggest kitchen party in Atlantic Canada." When to go: September and October for Fall Flavours Culinary Festival and fall foliage. 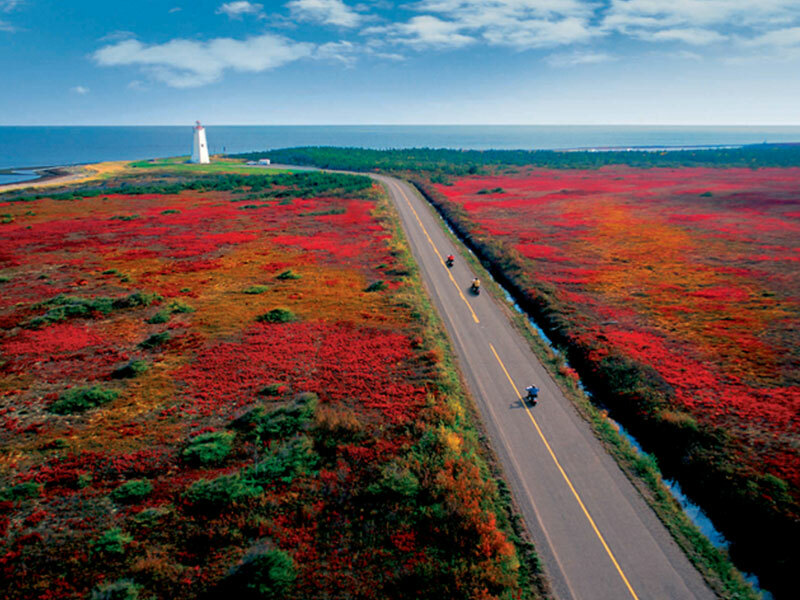 Where to go: Scenic Heritage Roads, Confederation Trail, PEI National Park. What to enjoy: One of 3 Coastal Drives, Malpeque oysters and blue mussels. Considering Atlantic Canada's geographic make-up, the best way to get around is arguably by car. The majority of our travelers opt to do a self-drive through the region, stopping at stunning national parks, historic sites and seaside villages as they go. The beauty is all in the freedom of the drive, allowing you to venture as you please and take as long as you'd like to get there. The small population here means the roads are pleasant and uncrowded, and to make trip-planning even easier we always include a car rental on your self-drive in Atlantic Canada. Our long-standing partnership with AVIS Car means we can give you the best rate and model for your journey, ensuring you have the proper vehicle for whatever the terrain requires. When and How Should I Book? When you're ready to book a trip to Atlantic Canada, keep one mantra in mind: the earlier, the better. 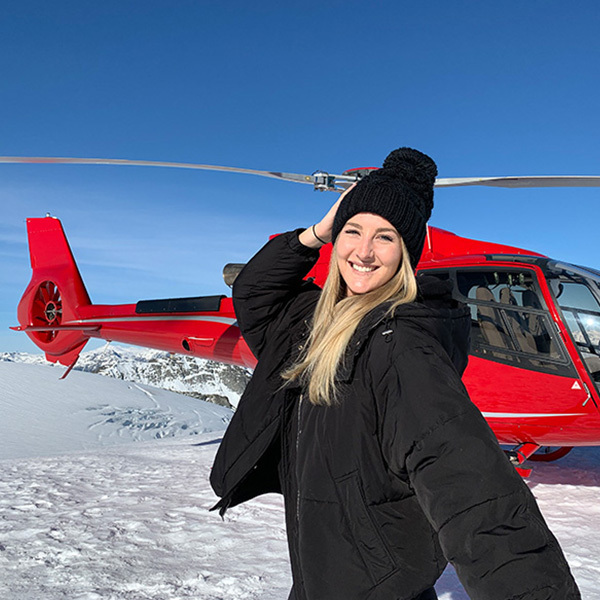 We often issue Early Booking Bonuses on our website to help you make the most of your budget, and to get you into the best tours and accommodations before they fill up with other bookings. That said, you never need to worry about contacting us later on, as we can still share our expert insight with you and look over all the options. In fact, right now we have a Bring On Summer Bonus offering incredible added value like extra hotel nights, tours and upgrades on your next Atlantic Canada adventure. Browse through self drives, coach trips and private tours on our Atlantic Canada page, or get in touch with one of our travel designers to talk over any other ideas you have. Prefer to simply stay in touch? Sign up for our newsletter for up-to-date deals, trip ideas and more!